But I didn’t see it that way at first. Initially, it was everything I thought I would hate. But clearly, travel does something magical to us. For every impoverished streets I’ve seen and for every chaotic crossroads I’ve witnessed, Phnom Penh has unapologetically shown its light to me. Raw and unassuming as it is, what you see is what you get. You either love it or hate it and there is no in between. 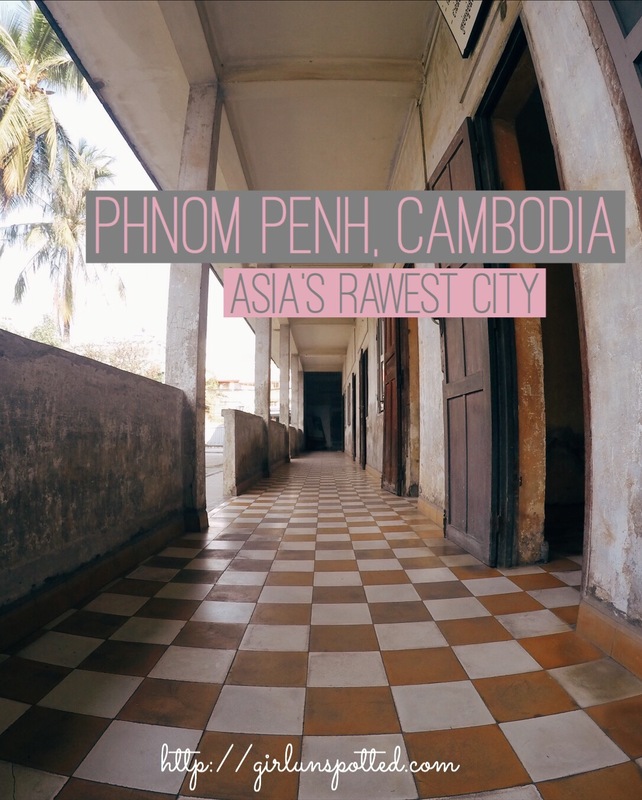 Besides the “Sean Penn is the capital of Cambodia” joke on my favorite sitcom, Friends, I knew nothing about Phnom Penh up until I decided I’m making a stop in this city during my backpacking trip. I could have easily skipped it, but the more I learned about it and the more it seemed like a city I would hate, the more my curiosity somehow drew me in. But what can I really learn about this place in less than 30 hours combined? That amount of time doesn’t usually give the place any justice. But that’s all I had to give Phnom Penh, so on two separate days, I made it my halfway point between Siem Reap and Kampot. A clever, well-executed excuse for someone itching to give in to her curiosity. 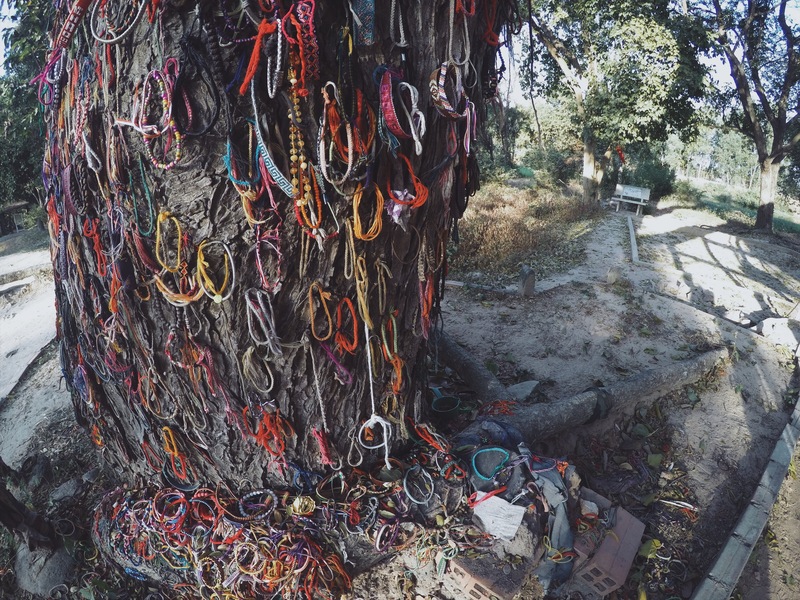 The ghost of Cambodia’s past haunts the city. 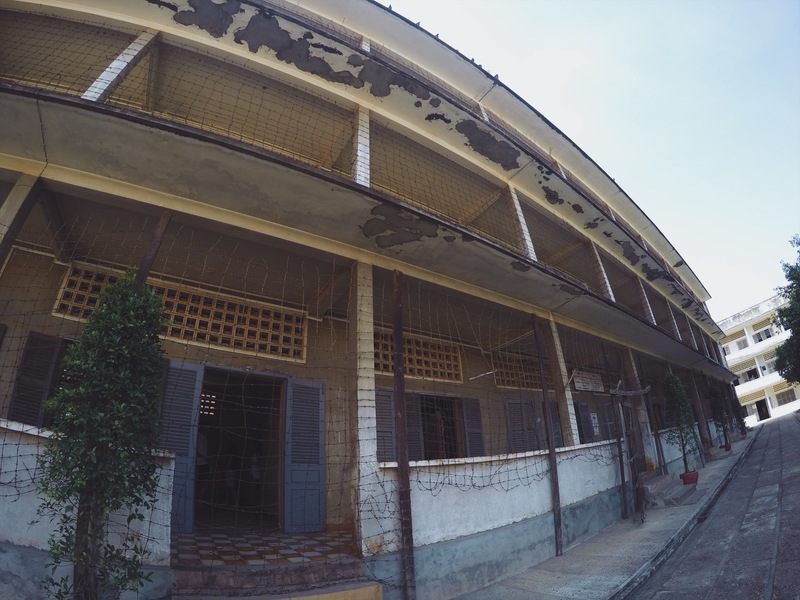 Decades after the horrifying memories that has reigned over Cambodia– the Khmer Rouge, remnants of its unforgivable history still torments Phnom Penh. I went there knowing very little about this, because somehow, it’s not something they teach us in school. But as I’ve gotten to know the city and some of its people, I can’t help but feel the potency of the damages that’s been made. It seems so recent, and maybe because it is. It was almost forty years ago since the reign ended, but the memories live on. The city will forever be tainted with the dark, horrid, unmerciful memories from the mass genocide of the Khmer Rouge. And with Phnom Penh being the capital of the country, there is no escaping that. I heard some of their personal stories. The generation that have heard stories from their grandparents, the generation that lost family members to it, the generation that has very blurry recollection of it, and the generation that was there to remember it all. As heartbreaking as it already was to read about it in Wikipedia, hearing the stories from a personal perspective of someone who was greatly affected by it is gut wrenching. It was like trying to watch a gory movie I didn’t want to see in the first place, and as I held back from covering my ears from the reality of what I was hearing, they, on the other hand, were holding back tears as they educated me. For those who aren’t acquainted, Khmer Rouge is a communist party that ruled Cambodia between 1975-1979. Their leader, a very insecure and paranoid man named Pol Pot, wanted a “clean” slate to start a classless community, hence the term Year Zero. He abolished everything that makes a society grow– school, money, private properties, transportation, any religious structure, entertainment, gatherings, and anything that contributes to making a community thrive. Government buildings and schools were turned into prison or camp. But is there such thing as a prison without prisoners? Of course not. At the end of the regime, 2 million people have died. Pol Pot started off by getting rid of the educated ones– the government officials, the doctors, the lawyers, the teachers, and the list goes on. And then he imprisoned even more innocent people and interrogated them to give up names of anyone they knew that were in his hit list’s bracket or to confess their own “sins”, and if they didn’t, they were tortured to their very last breath. This man was serious– he didn’t want anyone smarter than him merely because he feared them. He was a psychopath– he didn’t trust anybody and even mercilessly killed people who remained loyal to him. It wasn’t easy being there. 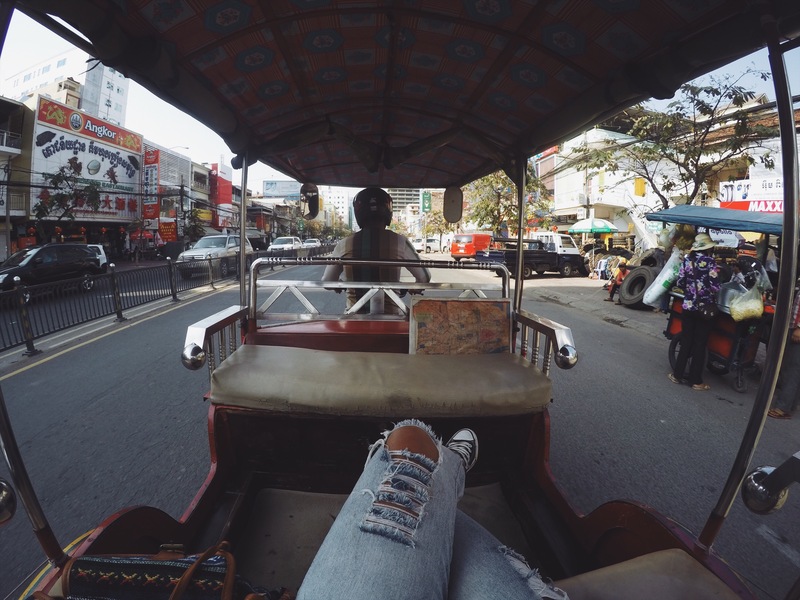 People say Phnom Penh is a rough city today, filled with robbers, scams, and the typical dangers that any city never lacks. But I didn’t experience any of those and I didn’t walk around guarded because of that stereotype. It was the sadistic history that lingers around the streets that made me feel apprehensive. 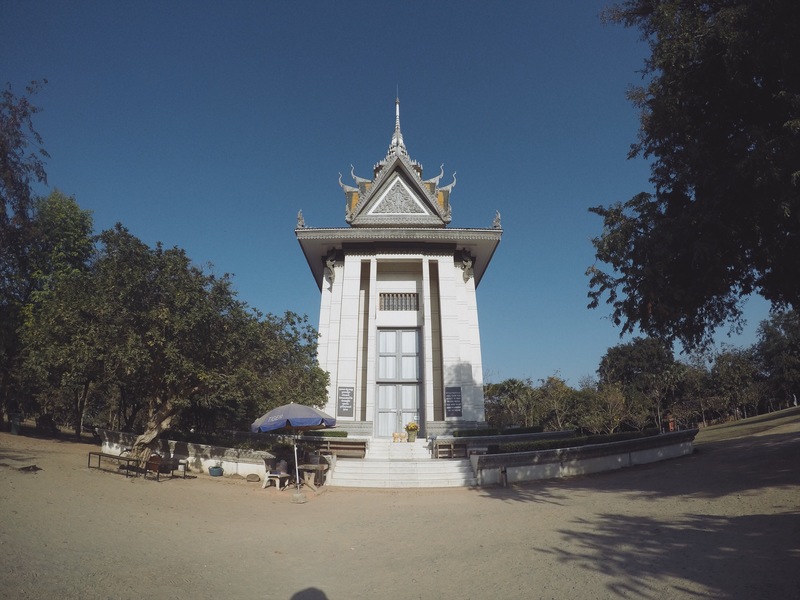 Although there are day trips to nearby towns you can visit from Phnom Penh, I visited the two most popular sites in Phnom Penh and I started with The Killing Fields. The Killing Fields is exactly what it sounds like. 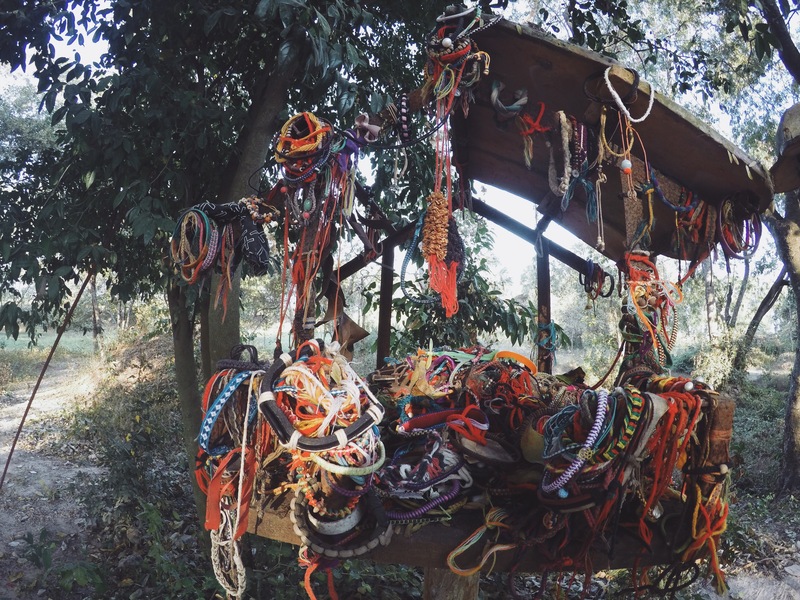 If Poland had the Auschwitz Concentration Camp, Cambodia had The Killing Fields. 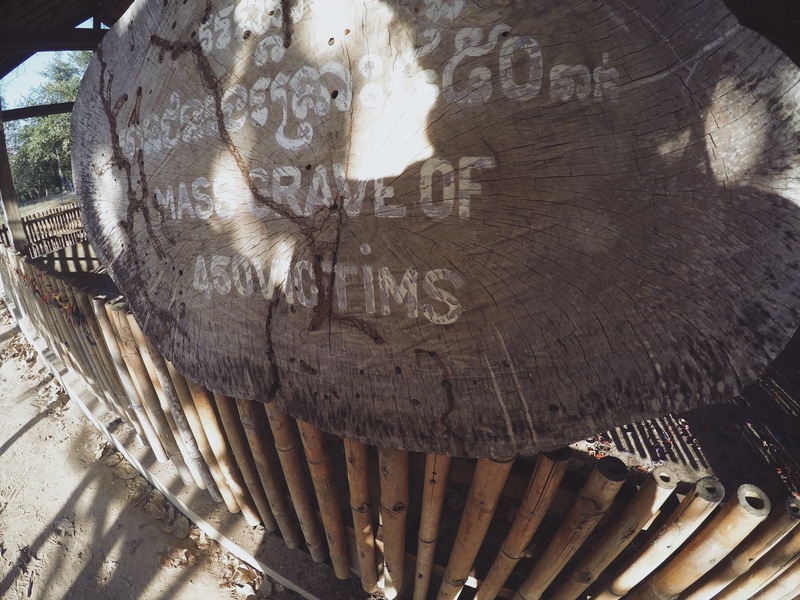 Though there’s a few around the country, the one in Phnom Penh is the biggest one, where they excavated over 1.3 million victims. What really stuck around in my head was the tree. There was a tree, and I don’t think the image of that tree would ever leave my memory. During the regime, children including infants of the victims weren’t spared, but instead their heads are bashed against the trunk. I bit my lip as I read the sign and I’ve had enough at this point. I was ready to leave, but I was there to pay my respect to the victims, and the least I could do was to learn the truth. 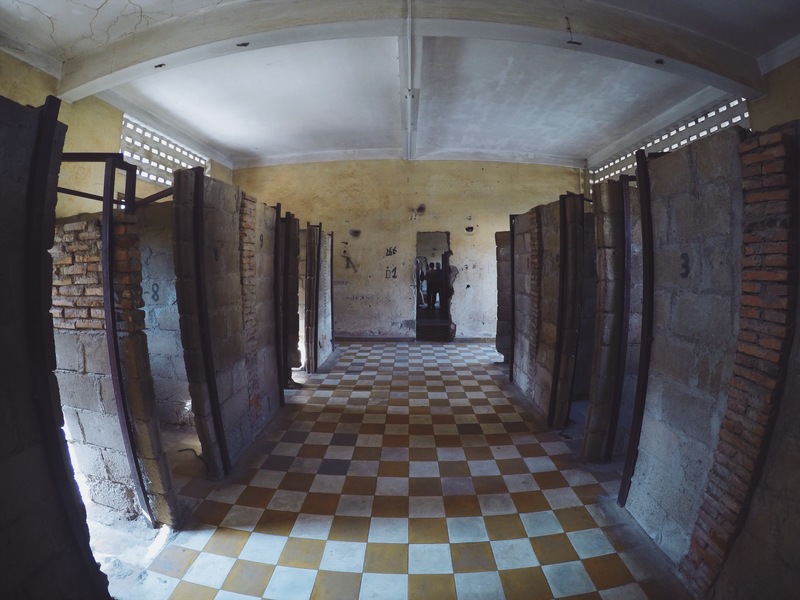 Toul Sleng Genocide Museum was even more difficult to be in. It used to be a school, but because school was abolished, it was turned into a torture prison, and now a museum. I’ve seen people die many times in the hospital and I’ve learned to filter my emotions, but it’s quite an inexplicable feeling when you’re in a room where people were starved to death or tortured. If those walls could talk, I wonder. 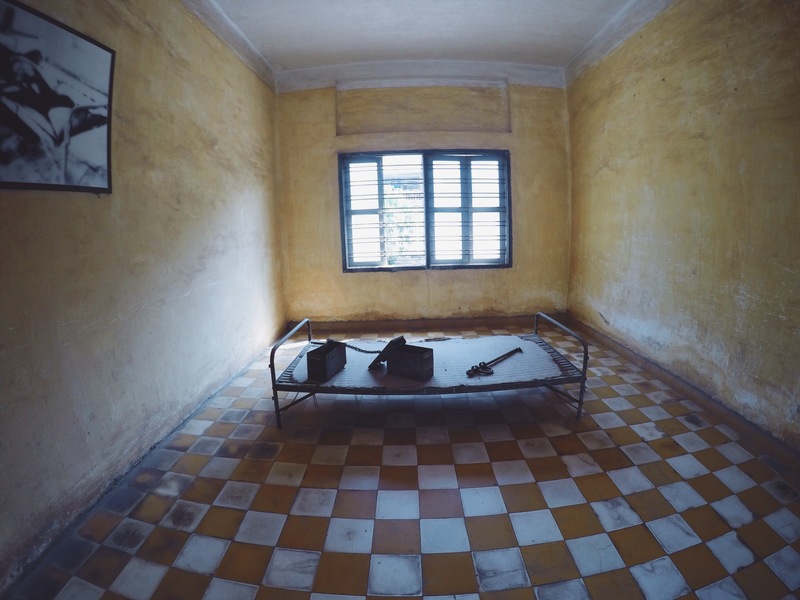 There were torture devices on display and there were still traces of dried blood on the floor. Even the hallway was enveloped with diabolical atmosphere and I couldn’t wait to get out of there. There were photos of the victims on display. There were head shots, and then there were those really gory ones. There were photos of victims that were probably straight from being tortured. Victims dying on the floor, victims dying of starvation, victims next to a pool of blood, victims anticipating their final breath. 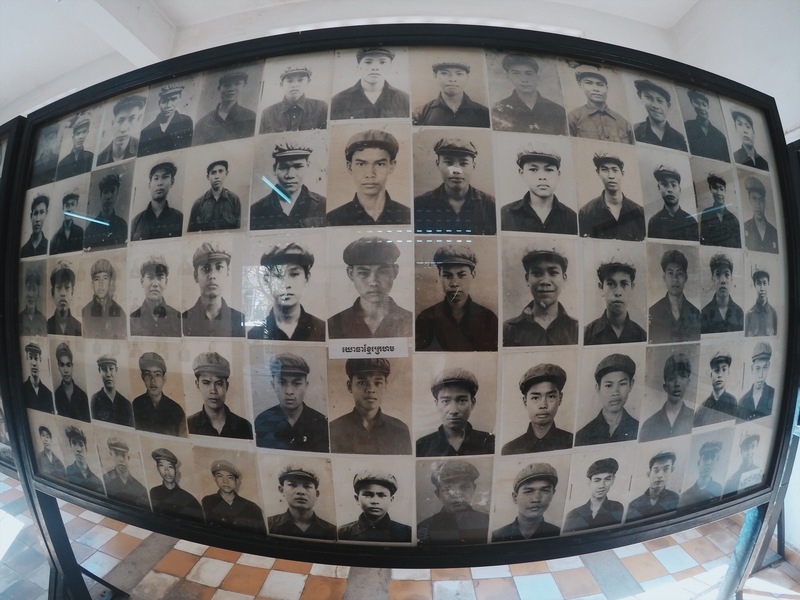 All were taken by Kampuchea officers. My guide who showed me around in the museum was a survivor. 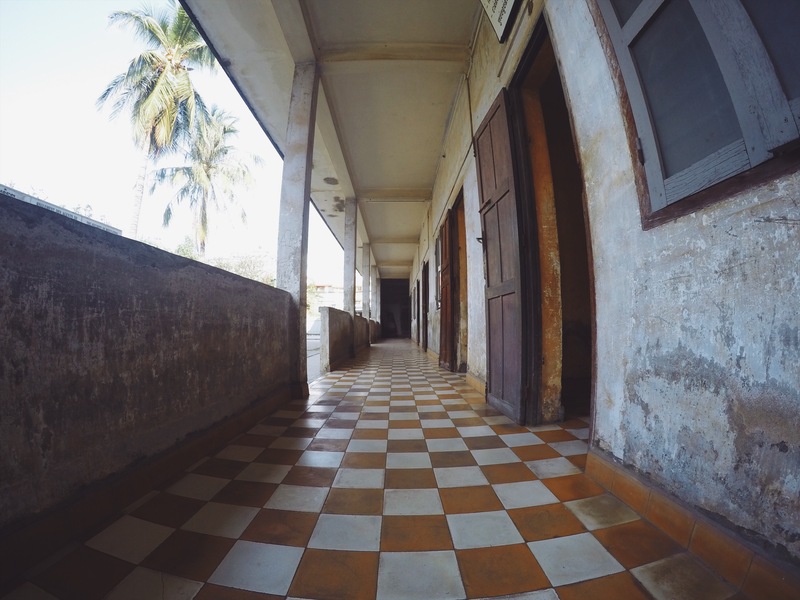 Although her father was a victim and was killed in Tuol Sleng, her and the rest of her family successfully escaped the atrocities and made it to Vietnam. She was only 11 but from the tone of her voice, she remember the years vividly. 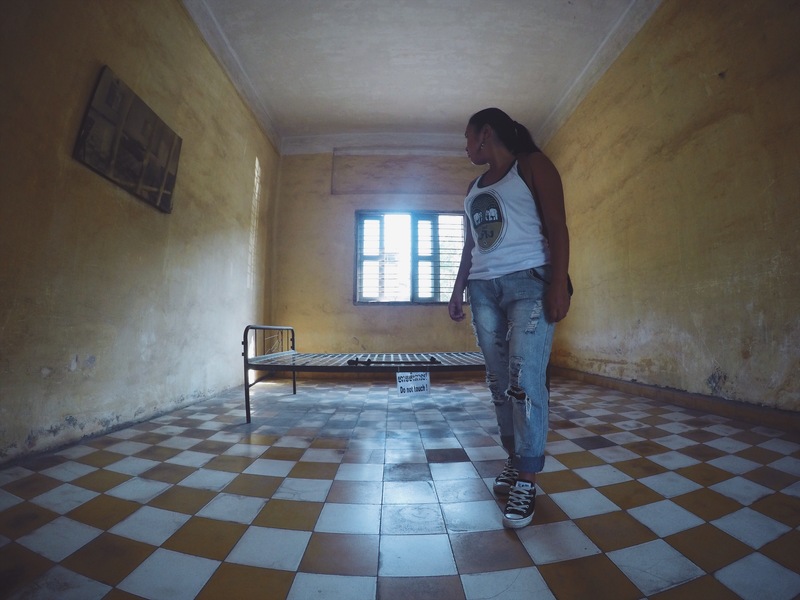 What saddened me the most was that she chose to be there in Tuol Sleng everyday, where her father was imprisoned and killed. Perhaps to share her story, or as a mean to support her family. Either way, it was such a humbling experience to be able to listen to her. Compared to the Holocaust where it was done out of pure hatred and racism, this man, Pol Pot, killed his very own people. 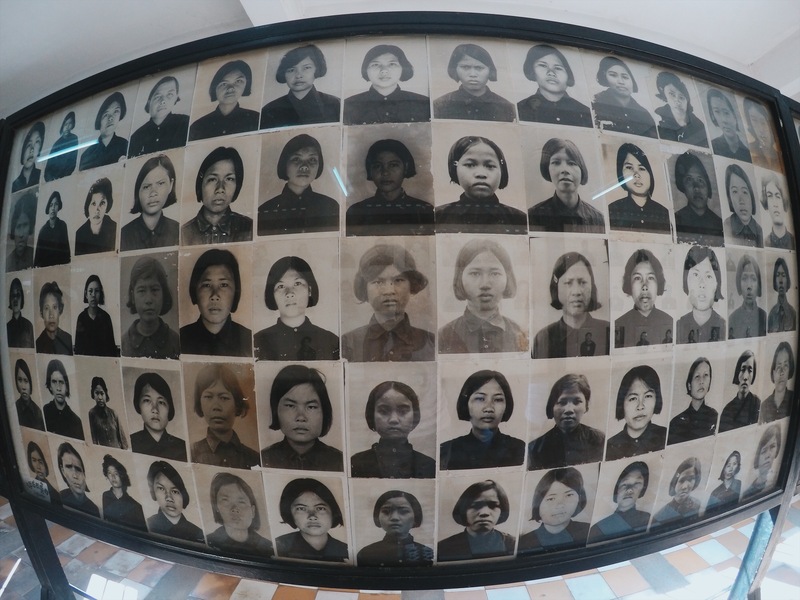 It’s surprising to me that we somehow do not learn about the Khmer Rouge Genocide in school. For something that happened less than half a century ago, why isn’t this being discussed within the walls of a classroom and why aren’t we learning about this? When it comes to destroying humanity, whether it has a profuse effect internationally or not, ignorance still does no good. However as I type this, I think about the terror going on in different corners of this world today that I may not even know about either. It’s far from being pretty. Others may even call it ugly. But there’s something about Phnom Penh’s flawed nature that actually makes the city quite… beautiful. In it’s own ways, the scars of the city is what makes it Phnom Penh after all. It’s real, unpretentious, and it has nothing to hide. 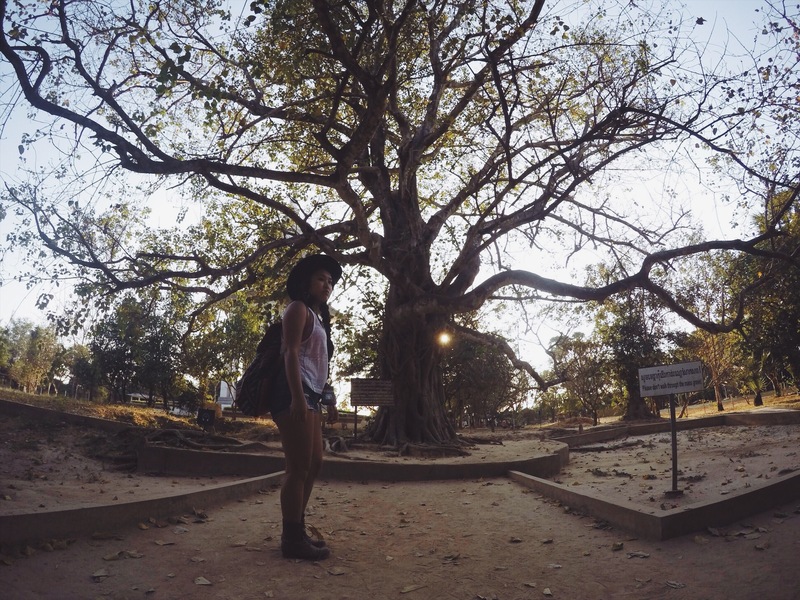 Traveling to Phnom Penh was a powerful experience. It wasn’t just merely learning about history or culture. It was more sublime than that. At least to me it was. I dare you to go there and leave without any level of personal connection. The city is far from being the most charming place, but it does have its personality. 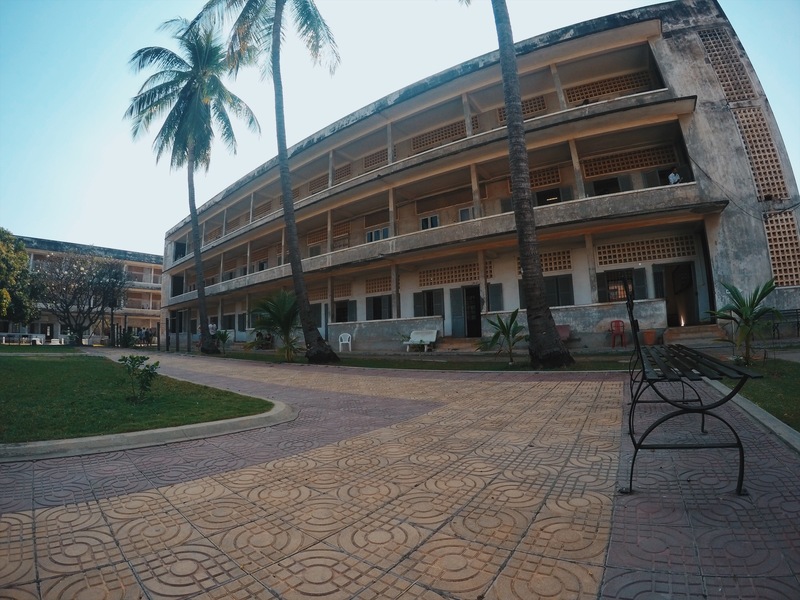 It may or may not fully recover from its horrifying history, but its indelible honesty will keep the unique Phnom Penh character that I have gotten to know in the first place. And I don’t ever want this city to lose that. Next Post El Nido vs Coron: Which Palawan Paradise Is Better For You? Yes, that’s true. He was on another level of insanity and insecurity. And here’s another fact about the Killing Tree you posted: during the process of murdering infants and young children, soldiers had to laugh while doing so. Not laughing was taken as a sign of sympathy, and anyone who did not participate in that morbid sight was next in line. 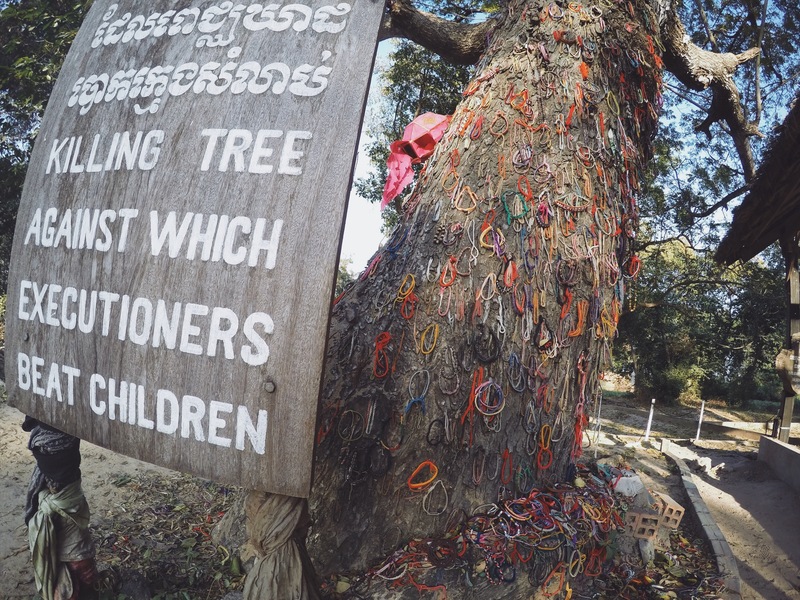 And Pol Pot had the gall to say that his conscience was clear before he died in 1997…when the Killing Fields, and its immediate vicinity, serve as testimonies to his brutality. Hi Girl Unspotted, I was in Phnom Penh last October for two nights and I didn’t see that much of the city. I would loved to have visited some of the sites that you went to, but I got a minivan to Sihounookville and then returned three days to return to BKK, maybe next time. I have never read about this until now. And.. I have no words for how infinitely horrible that situation was and still is for those who lost their loved ones/survived it.